Would you buy a robotic drink maker from these men? I sure would. These are the creators of Monsieur, a robotic bartender that will squirt out a great margarita or a nice Manhattan in about a minute using Android, a bunch of pumps, and some booze. 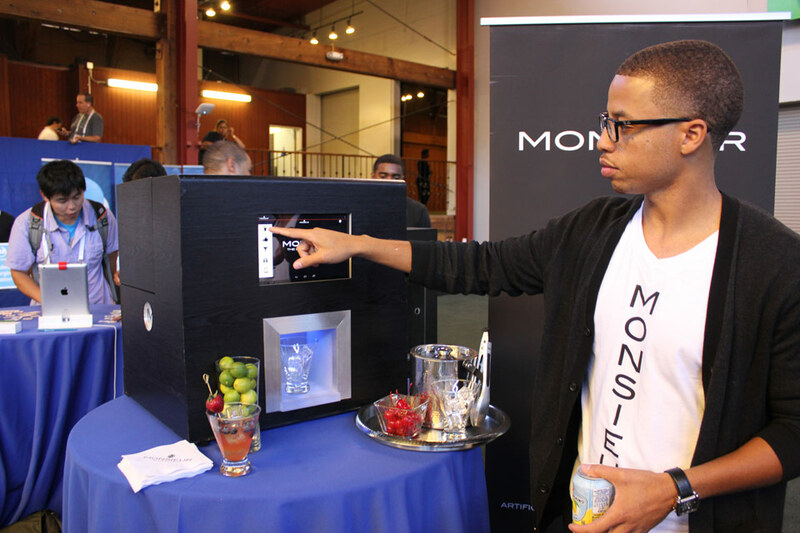 Created by Barry Givens and Eric Williams and launching at Disrupt SF 2013, Monsieur allows you to select a drink – it includes pre-designed recipes and you can download “packs” that add different types of drinks to the mix – and the machine does the rest. Nozzles squirt out very specific amounts of plonk and mixers and your drink is ready. Every drink is exactly the same and, barring a bit of shaking, they’re ready to drink. Givens and Williams met at Georgia Tech. Givens has a BS in Mechanical Engineering and Williams has a Master’s in CS. He worked for Panasonic and Siemens before he began in on Monsieur. Angel investor Paul Judge, cofounder of Pindrop and VP at Barracuda, handed the team a bit of funding after seeing an early prototype. Monsieur was born when Givens ended up waiting for an hour for a cocktail. “In frustration I asked why there wasn’t a machine to just make my drink. After leaving dinner that night, I started reading more about bartending and soon enrolled in bartending school,” he said. Early prototypes worked but didn’t have enough pizazz. The team has deployed beta units at restaurants and bars in Atlanta and they’re working on partnerships with drink brands and sports arenas. They see this as sort of a “bartender in a box” that staff can roll into a room and let users order drinks without having staff on hand. The system maintains a log of what was served and the venue can ring up a bill at the end of the night. You can even change the strength of the drink from “regular” to “boss.” I had a “boss” drink when I tested the machine and it was, without a doubt, pretty darn good. In short, it beats a bottle of vodka in a bucket. “Our drinks taste great, people love using Monsieur and it helps businesses be more profitable,” said Givens. 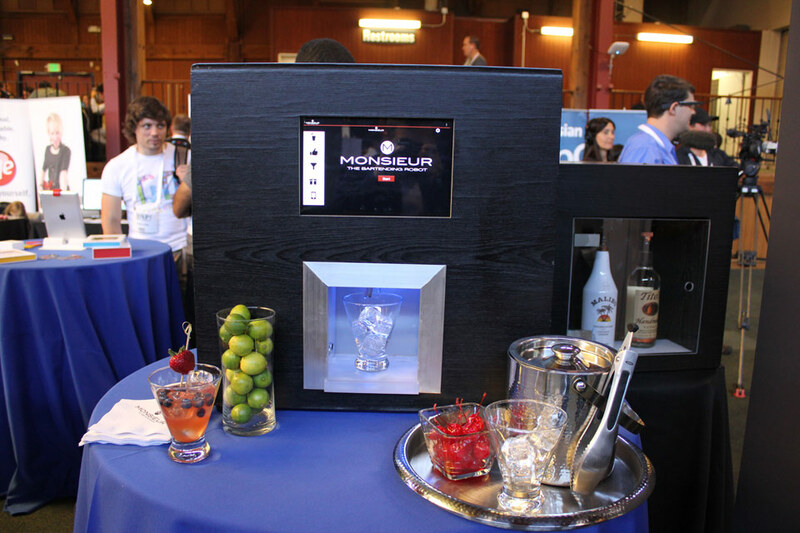 Plus who doesn’t want a robotic drinks butler named Monsieur? The team could put the box in a pair of spats and give it a pencil-thin mustache and you’ve got a real winner.